What is Inclusion U Online? Inclusion U is a 10-hour training that teaches you how to be a Certified Inclusivity Assessor. In Inclusion U, you will learn the foundations of inclusion and how to use the Inclusivity Assessment Tool. Inclusion U has nine modules. For each module, you will take a quiz to advance to the next module. 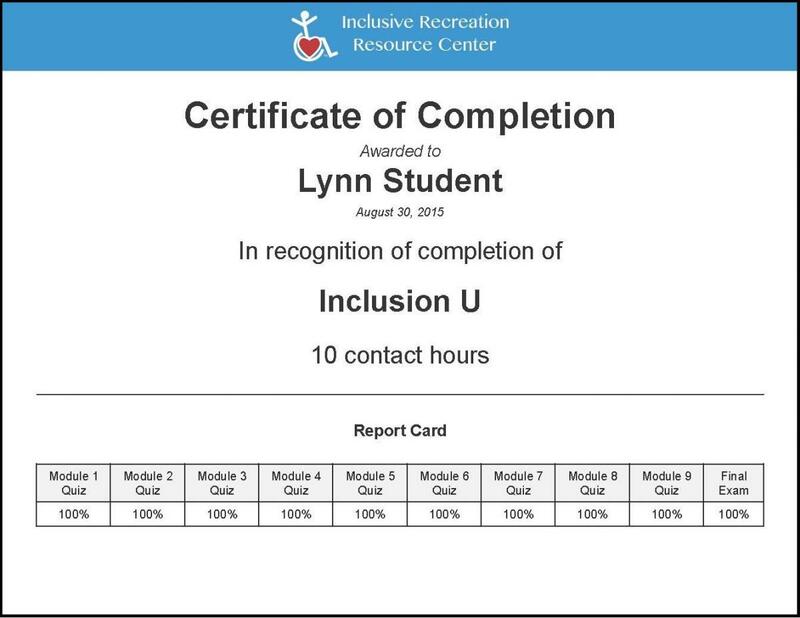 At the end of the nine modules, you will take the Inclusion U Final Exam to show that you have gained the knowledge and competency to be a Certified Inclusivity Assessor. You are then able to complete inclusivity assessments, using the Inclusivity Assessment Tool. You will be able to add your inclusivity assessments to the IRRC online recreation database. What is included in Inclusion U Online? As a CIA, access to the Inclusion Ambassador Training, where you can register as many people as you want in the free 3-hour inclusion training. Learn more here. How do I earn CEUs for Inclusion U Online? 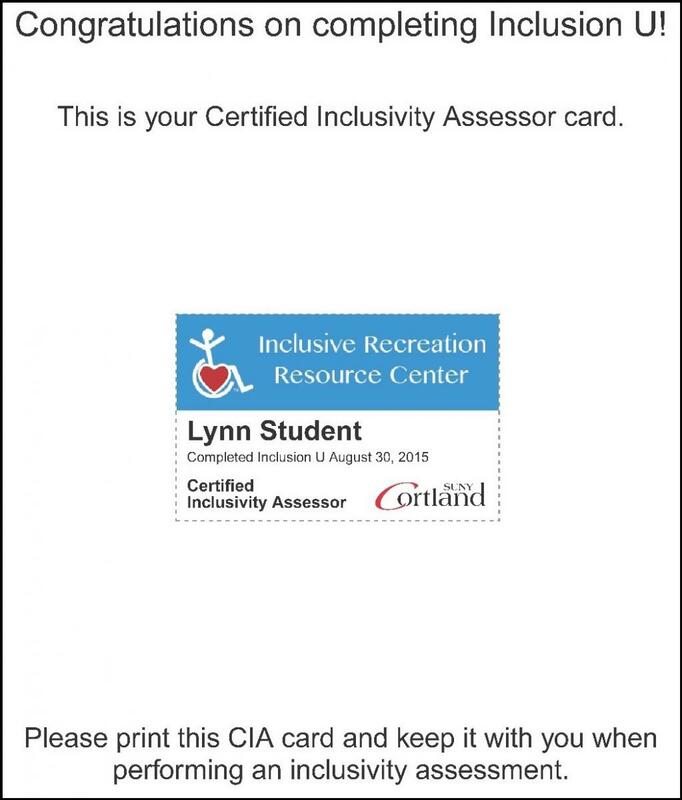 Upon successful completion of the Inclusion U Online training, you will be able to print out your CIA Card and a Certificate of Completion. What is the cost of Inclusion U Online? The cost of Inclusion U Online is $49.95 (USD). What is the group rate for Inclusion U Online? The cost of Inclusion U Online is $49.95 (USD) for individual registrants.